Novel FEB technology provides high-quality kinetic binding and affinity data to accurately identify hits. A 3000-compound fragment library can be screened in one eight-hour shift on a single 96-well system. Nanomedical Diagnostics, a biotech company pioneering the development of label-free graphene biosensor assays for fragment-based screening, will showcase its proprietary Field Effect Biosensing (FEB) technology in booth 1317 at the 2017 Society for Laboratory Automation and Screening (SLAS) conference in Washington, D.C. from Feb. 6 to Feb. 8. Fragment-based drug discovery (FBDD) is increasingly used in the pharmaceutical industry as a complementary approach to traditional high-throughput screening (HTS). As opposed to HTS libraries of one-million small molecule compounds, FBDD screens can contain just 2000 low molecular weight fragments. In FBDD, researchers employ label-free biophysical techniques such as surface plasmon resonance (SPR), nuclear magnetic resonance (NMR) spectroscopy, and X-ray crystallography as primary screening methodologies, but the low molecular weight of fragments and the solvents used to dissolve them can hinder accurate hit identification. Nanomedical Diagnostics will introduce a real-time, label-free detection method that is based on electronics, providing a strong orthogonal approach for screening and hit validation. FEB excels in detecting molecules with large charge-to-mass ratios which enables sensing of compounds with no lower size limit, a considerable benefit in fragment-based screening. The non-optical technique measures the current across a field effect surface to which the target is immobilized. 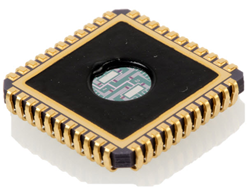 Any interaction or binding that occurs on the biosensor surface causes a change in conductance that is monitored in real time, providing accurate kinetic and affinity data. At SLAS2017, Nanomedical Diagnostics will showcase FEB technology with its first product, AGILE R100. For more information, visit http://www.nanomedicaldiagnostics.com. Nanomedical Diagnostics (“Nanomed”) is a biotech company based in San Diego, CA. Nanomed has developed a breakthrough electronic assay based on Field Effect Biosensing (FEB) technology that provides real-time, label-free kinetic binding and affinity data. Biosensors at the heart of the assay leverage the highly sensitive nanomaterial graphene to unite biology with electronics, delivering the unique ability to sense molecules with no lower size limit in complex media such as DMSO, and use unprecedentedly small amounts of sample.